Born in Melbourne in 1913, the youngest of a large family, as a youth became fascinated with all things Japanese. This led him to learning the language at which he became very proficient, both speaking and reading Japanese. With the advent of World War II, he joined the Australian Army and this knowledge was to prove most useful and even more so after the war, when he was seconded to General Douglas Macarthur’s army of occupation in Japan, where he served with distinction as a Japanese language officer with the rank of major. He was to remain in Japan for twelve years, during which time he met and married his American-born wife, Mary and commenced his studies in Ikebana. Studying first with Kobayashi Sensei of the Einghin School and later with the great Sofu Teshigahara, founder of the Sogetsu School, and later still with Professor Yuchiku Fujiwara of the Ikenobo School, he was able to combine with outstanding creative talents with excellent technique, and also to write his first book entitled ‘Japanese Flower Arrangement — Classic and Modern’. After a worldwide tour, he decided to return to Australia to live, settling in Sydney, where he became committed to promoting Australian — Japanese relations through his art. 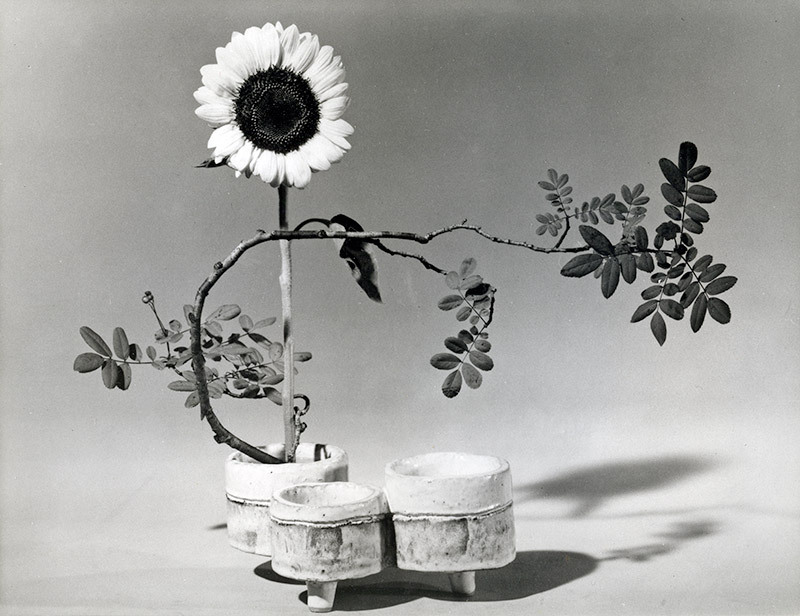 From 1960 until his death in 1995, he worked tirelessly to bring Ikebana to all states in Australia and to several cities in New Zealand. At the same time, he promoted the establishment of Ikebana chapters in Australia as an honorary adviser. In his role as teacher, author, translator, adviser and friend to many he showed true dedication and undoubted flair at all times. In addition, his worldwide tours were critically acclaimed and he was considered the best-qualified and leading master of Ikebana in the western world. Thoroughly professional in everything he did, his contribution to art were acknowledged both by Australia and Japan, receiving an OAM in 1979 for his services to floral art; the medal of Order of the Rising Sun, fifth class from Japan in 1983, for furthering cultural relations between our two countries; and in 1991 he was honoured with the first Sofu Teshigahara Memorial Award form the Sogetsu School. All three were richly deserved, recognising his outstanding contribution to the unique, challenging, but rewarding art of Ikebana. He is remembered with affection and respect by his many students, whose lives he enriched as they travelled with him along the Ikebana way, as indeed his own life had been similarly enriched many years before.